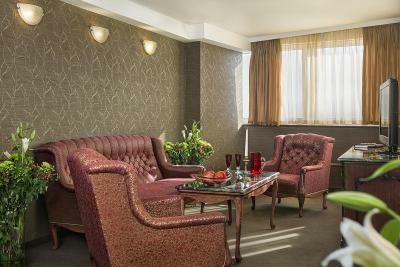 Lock in a great price for Park Hotel Moskva – rated 8.2 by recent guests! The hotel allowed me to check early and plus they had my sunglasses I forgot at the reception last time I was there. I like the rooms and the fact that they have 4 elevators. Also it was very convenient that for our business event we could use one of the conference rooms. 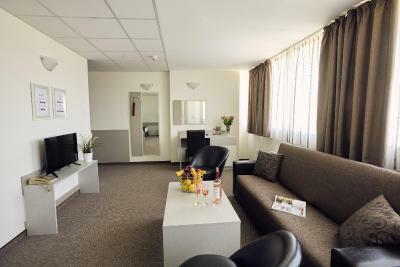 Also the hotel is close to a metro station with elevator from where there is a direct line to the airport. Furthermore there are multiple eating options in walking distance. 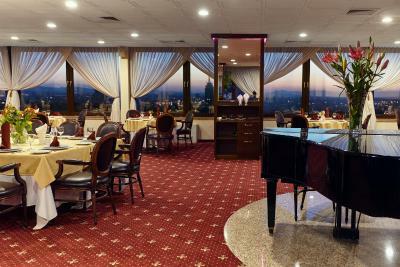 I am using Moskva often when I need to be in Sofia for a couple of days, it is close to the subway and walking distance from a big bus connection hub (Pliska). 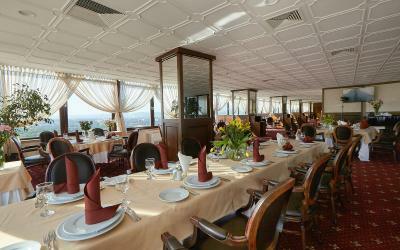 There are lots of shops and restaurants in the area and the big Borisova Gradina park is nearby. 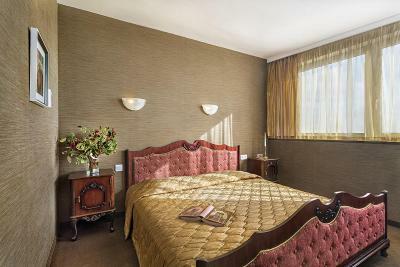 The hotel may be a bit outdated however it is kept clean and offers you the comfort you need. Price to quality this is one of the best deals in Sofia in my opinion. The room was excellent, especially if you are traveling for business purposes, very nice lounge area, the location was also good. 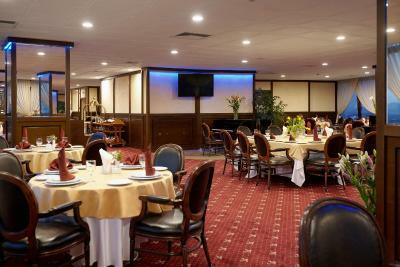 Really nice staff, calm and safe location, close to subway. 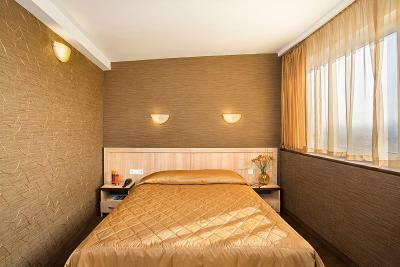 Location is good, having own parking, nice and clean room, polite staff. Wi-Fi was very good and the hotel is pretty close to metro station. 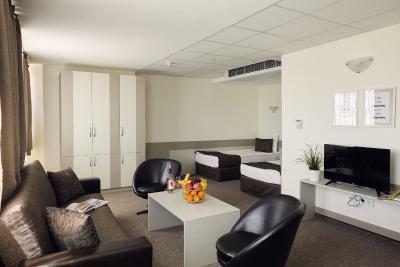 for the price the hotel rooms are spacious and do the trick. 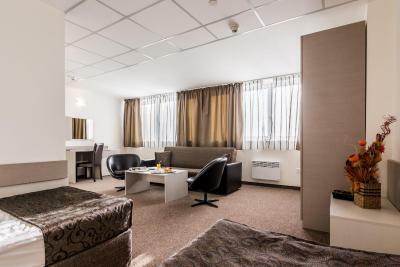 Park Hotel Moskva This rating is a reflection of how the property compares to the industry standard when it comes to price, facilities and services available. It's based on a self-evaluation by the property. Use this rating to help choose your stay! 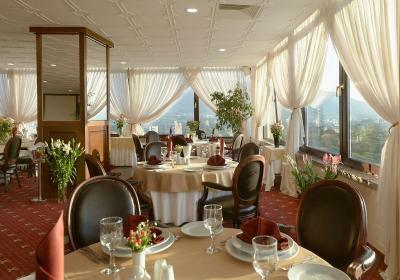 Located in the Borisova Garden, a direct metro ride from Sofia city center, this hotel offers air-conditioned rooms and apartments with great views of the park and of Sofia. 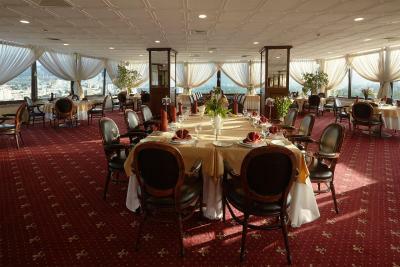 Its 2 restaurants serve Bulgarian and international cuisine. 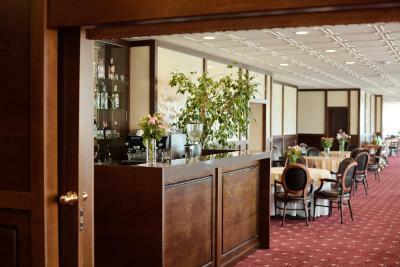 A summer garden and a lobby bar are available. 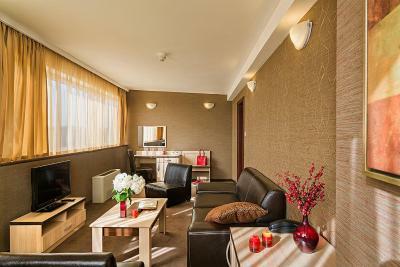 Free WiFi is provided in the entire property. 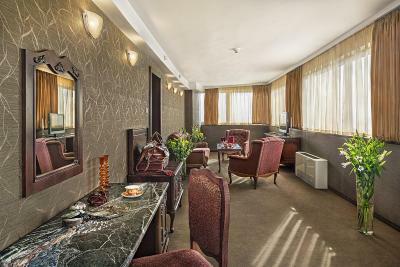 Rooms and apartments at the Park Hotel Moskva include cable TV, a mini-bar and a desk. 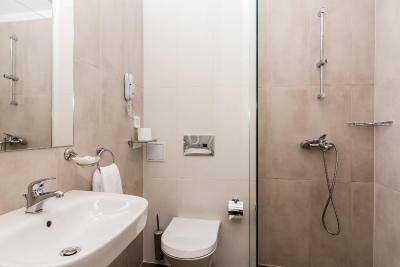 A complimentary bottle of water is provided.Each bathroom has a shower or a bathtub, a hairdryer and toiletries. 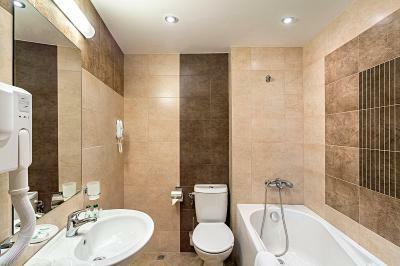 An individually controlled air conditioning system is available. A 5-minute walk takes you to Joliot Curie Metro Station. Buses are just 350 feet away. Sofia Airport can be easily reached by metro or car within 10 minutes. 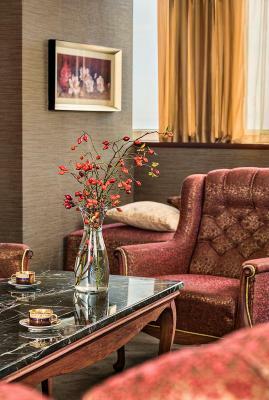 When would you like to stay at Park Hotel Moskva? 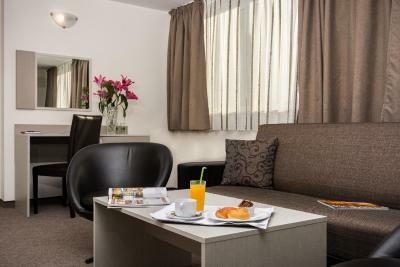 Single room with a king bed or two single beds, adjustable air conditioning a free minibar, and views of the city and the Alexander Nevsky Cathedral. 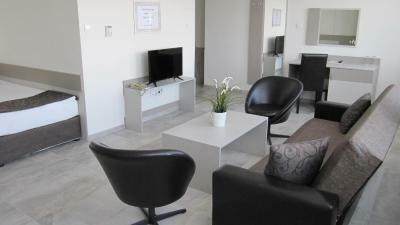 Private parking is available on site (reservation is not needed) and costs BGN 8 per day. 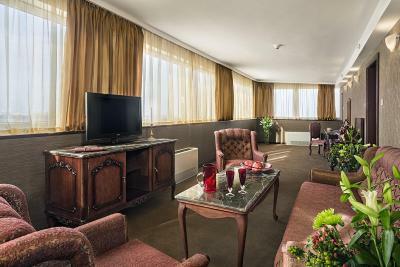 This elegantly furnished suite features adjustable air conditioning, cable TV, a free minibar, and park views. 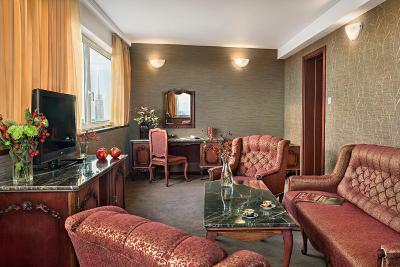 This suite has a sofa, private entrance and seating area. 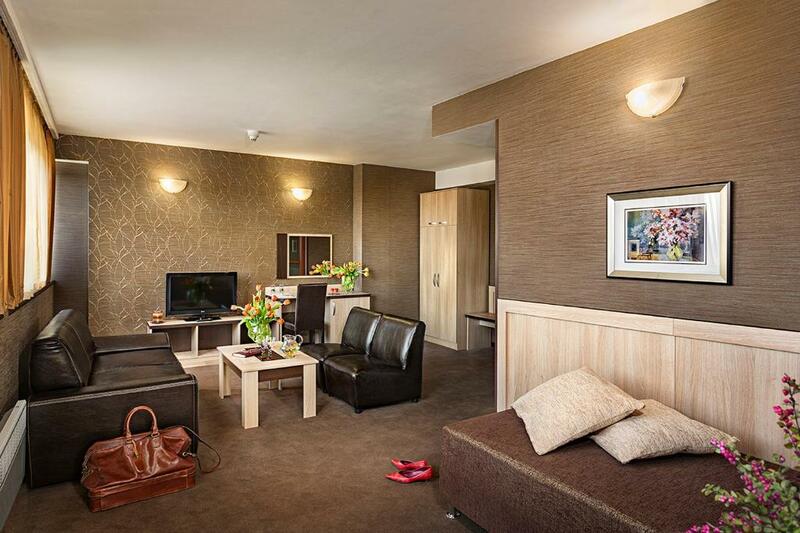 This apartment features a mini-bar, sofa, a seating area, 2 bathrooms and a flat-screen TV. 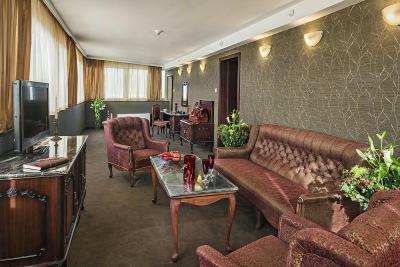 House Rules Park Hotel Moskva takes special requests – add in the next step! Park Hotel Moskva accepts these cards and reserves the right to temporarily hold an amount prior to arrival. 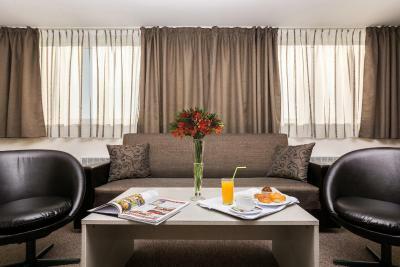 Kindly note that pets can be accommodated only in the pet-friendly room types. Please note that if you would like to request an invoice for your reservation, you should contact the property in advance and provide it with the necessary information. Contact details are stated in the booking confirmation. 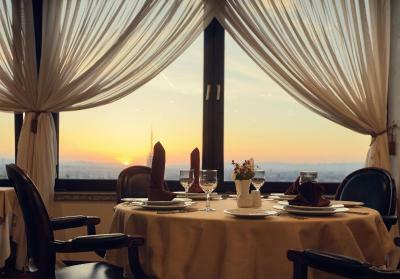 Please note that the credit card used for the reservation must be presented upon check-in by the card holder. The pillows wasn't so comfortable. Everything. Great view from 13th floor. 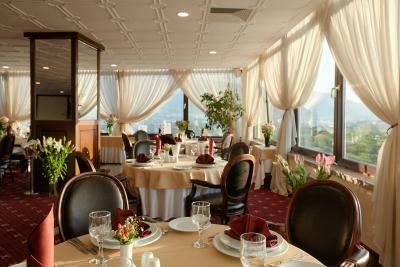 The breakfast is not special, could be much better but due to size of the hotel, you don't have to expect too much. The rooms were ok, not to fancy and new but enough for just sleeping. I wouldn't stay here with my familie for vacation. It is not as much that we did not like, but I believe it should have been stated clearer in the room description. When it says charges may be applicable for pets, I somehow understand that they would be applied if the pet is too big, or it has made a big mess or something similar. 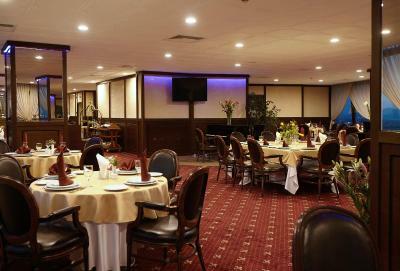 But here we were asked to agree on the charges in advance, just right after making the reservation. Then why not state on the hotel page that charges do apply and the required amount. This is my second time at this hotel and the same room. This means I like the hotel. It was a very short stay and i could not say much, but what we experienced was all fine. The staff was nice, the check in and out was very fast, the room was very big (but it was a suite any way), it was very clean. We did pay for the parking, but that was OK with us since it was only a small amount. It is a nice place to walk a dog, since there is a park just next to the hotel :)). And although it is not close to the center, there is a metro station very close by, that takes you to the center, if you do not want to use your car. There is also a Lidl market very close to the hotel. The only downfall was the moquette. The room was very spacious. We vere on the 15th floor and had an amazing night view on the city. The pillows are to hard and uncomfortable. The location is very good. The big park is just around the corner. Good excess to the center by the metro. The metro station is nearby. Clean. The view was perfect. Firstly, the hotel advertises itself as having a gym but when were asked at reception we were told "No. No gym". Secondly, breakfast, for a hotel at this price point, was awful, stale pastries, bad coffee, no fruit at all. 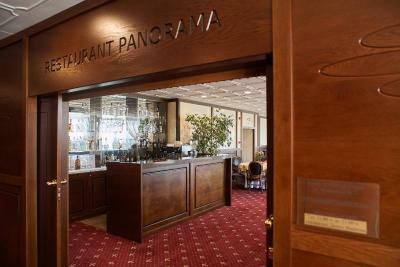 Thirdly, and most importantly, the Panorama Restaurant on the top floor: Our starters were good (although we tried to order the red caviar and were told "No, it's not good, it's not real". Weird!) but the real trouble came when our mains came out. One main (sea bream) was great, but the chicken Kiev was literally raw in the middle, I don't mean a little pink, I mean raw, transparent, entirely uncooked and unsafe for human consumption. When we pointed this out to the waiter the took it back to the kitchen and returned a few minutes later with the same plate of food, but the chicken had been microwaved so it was no longer raw. This is completely unacceptable, especially at a restaurant that is, by Sofia standards, quite expensive. In the end we paid for the sea bream, starters and drinks but not the inedible chicken. Many "lesser" restaurants would have comped the entire meal, or at least given us free drinks, but nothing of the sort was offered in way of an apology. Beware! Our room was nice, view from the 17th floor was great. The water was nice and hot and it was good to have a tub in the room. Sound insulation needs an improvement. 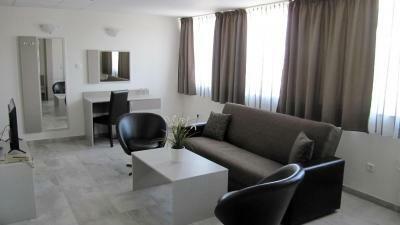 Easy access from and to the airport and the city center. 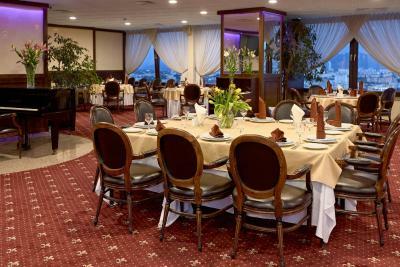 Several good places with a different cuisine can be found around the hotel. A beautiful park is just a step away. If you stay on a high floor, the panoramic view is adorable. The hotel needs a face-lift. Staff reminded me of the communist era, working to pace, no smiles. Traffic can block city access. 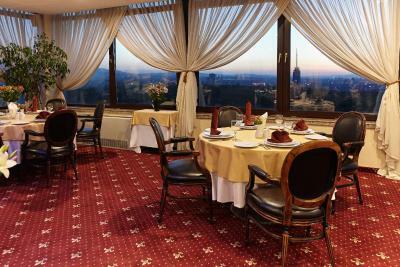 Better hotel options available in Sofia. Breakfast just ok, but enough. It was clean, comfortable, personnel were polite, and the view from my room was great.